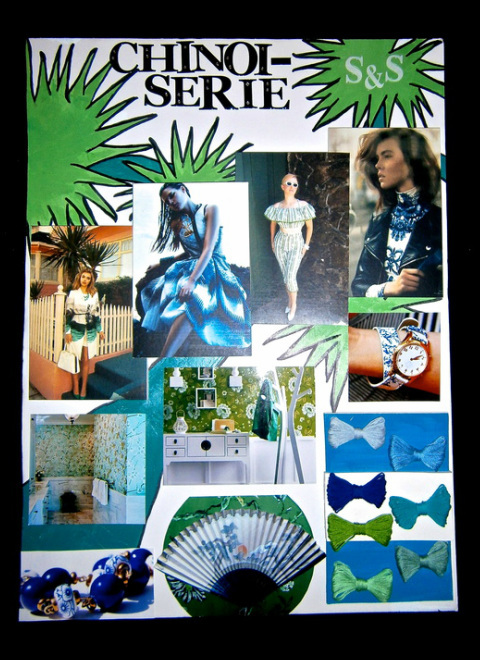 The objective of this Trend Forecasting project was to utilize a specific upcoming trend predicted from Stylesight.com and create an inspiration look board. I chose the trend Chinoiserie because it appealed to me as a specific style you do not see frequently. The color scheme for the Chinoiserie trend are cool blues and greens. Inspiration motifs I represented in my board include the following: Blue/green toile, willow motifs, Hokusai waves, traditional China landscape prints, bamboo, Sakura flower, and silhouette foliage.